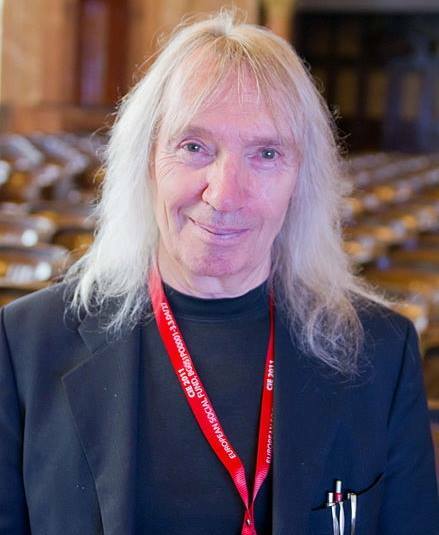 Barry Cooper, who very sadly died on Monday, was a central member of the Leeds logic group since the 1960s. I joined that group as a graduate student in 2001, and since then have had the pleasure to get to know him. He always took an active interest in his younger colleagues, mysel f included, and was enthusiastic about mathematical outreach. Of all the senior mathematicians at Leeds, I would say Barry was the most vocally supportive of my early efforts in that area, and I remain grateful for his support. Barry’s research interests were in the field of computability (or more accurately incomputability) and in particular the structure the Turing degrees. Roughly speaking, a set of whole numbers X has a higher Turing degree than another (Y) if a computer with access to X has the power to tell which numbers are and are not in Y. Thus, in a very natural sense, X contains all the information that Y does (and possibly more). It may be that Y can do the same for X, in which case the two sets have the same Turing degree. This simple idea produces a fascinating and fundamental structure, known to the experts as the upper-semi-lattice of Turing degrees. There are all kinds of weird and wonderful configurations hiding within it: two degrees where neither is higher than the other, individual degrees which are minimal (in that there is nothing below them besides the zero degree of computable sets), two degrees which have no greatest lower bound (this is what makes it a semi-lattice rather than a full lattice), and a great deal else besides. This structure (and assorted close relatives) has been the subject of a huge amount of investigation. Barry has played a leading role in this programme over many years. Outside research mathematics, Barry was popular, active, and successful in a frankly alarming number of different arenas. He was an excellent and well-liked teacher, and will surely be missed by Leeds undergraduate mathematicians as well as by his colleagues and numerous current and former graduate students. In sport, he was a keen long-distance runner, with a personal best marathon time of 2hrs 48mins. His most recent outing was the 2010 London marathon. One common interest he and I shared was jazz, with Barry having a particular taste for its wilder and more avante garde varieties. He was a founder of Leeds Jazz, and helped attract numerous top artists to the city, including Art Blakey, Courtney Pine, Paul Motian, and Loose Tubes (to pick 4 examples just from 1986). One regret I have is not going to more gigs with him. A committed political activist and unapologetic left-winger, Barry was involved in various political campaigns, including the the Chile Solidarity Campaign that was set up following the military coup of 1973. In recent years, Barry devoted a huge amount of energy to the Alan Turing centenary events of 2012. An utter triumph, this anniversary had an astonishing global impact (and overflowed enormously beyond its allotted twelve months), and made great progress in bringing Turing the long overdue recognition he deserves. One outcome of the year was the book Alan Turing: His Work and Impact, edited by Barry and Jan van Leeuwen, a hefty and definitive volume which scooped several prizes, including the Association of American Publishers’ R.R. Hawkins Award. Another result of the increased publicity was a Royal pardon for Turing in 2013; another was the Imitation Game film of 2014. The success of the whole project was in large part due to Barry’s leadership, and the mathematical and computer science communities surely owe him a large debt of gratitude. Barry announced just two weeks ago that he had been diagnosed with untreatable cancer, a development he met with a characteristic selflessness and equanimity. He died on Monday, surrounded by his family. Over the course of his life, Barry touched many people in many ways, and just as many will now miss him. I am sincerely shocked: I knew Barry Cooper since 1971 (that makes 44 years), when I met him in Berkeley. I learnt recursion theory from him, in the sense that he was supervisor of a “reading course” I took. My teacher Barry was 28, I was 23. I somehow kept contact with him, mostly his merit. I am sincerely shocked. A great shock and loss. in addition Barry was instrumental in reviving The Termite Club in Leeds which did indeed cater to his wilder avant garde musical proclivities. We shall miss him madly. Our next event will be dedicated to his memory. Barry and I became close friends and emailed each other daily. We had many interesting conversations on quantum computers and the limit of algorithms, mathematics, wave functions and collapse to metaphysical aspects of the mind and personality….and all of it was always tied to Alan Turing. We talked about codes in music to simply what music we like. We talked a lot about Alan Turing. He shared a number of photos of himself as a child, adolescence, college and present day to me and I shared my photos and artwork to him. We spoke daily for the last 2 years. On 14 October he told me he was ill awaiting test results, then he told me he had abvanced cancer and was given 3-6 months to live. In his last email he told me he wanted to spend the time he had left to his research. His last words to me was ” you and Alan are very important to me”, “we will talk later”. I desperately tried emailing him but never heard back. I dearly miss talking to him, my computer is eerily quiet, I dearly miss our lively conversations, he was my best friend, I shall deeply miss him. I will deeply miss you Barry, you were a wonderful friend and person to know. a lot. I personaly will miss him deeply. I knew Barry in the 70s as a fellow comrade in the communist party. Barry always impressed me with the gentle, unassuming manner in which he would apply sound logic and thoughtful analysis to difficult political issues. I regret not having made cont\act again after many years away from Leeds.